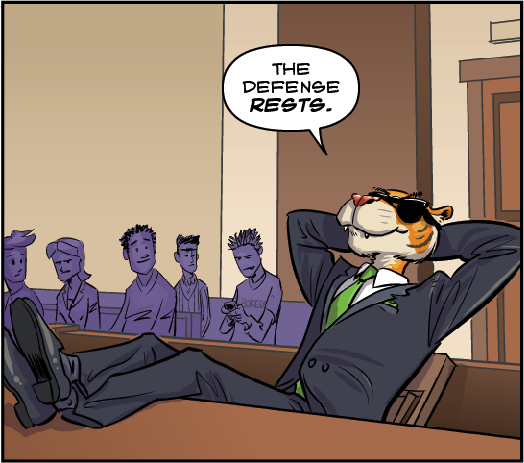 Thought Balloons - Creating Comics One Page At A Time: Why Tiger Lawyer? If you’ve never heard of Tiger Lawyer, first shame on you. Second allow me to help you correct that mistake, with a brief back-story. 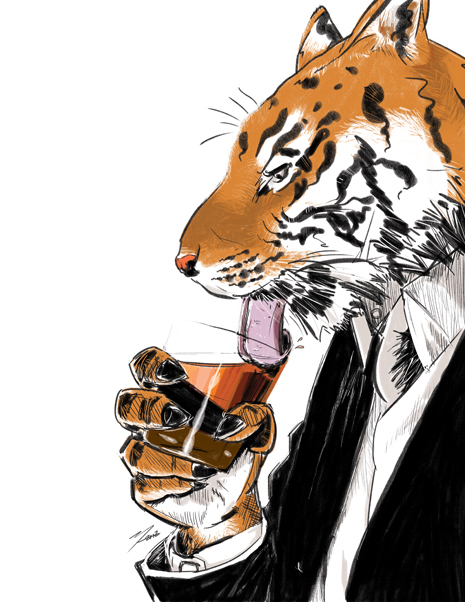 Tiger Lawyer is a creator owned comic book series from talented young writer Ryan Ferrier. The basic set up and idea behind the book is simple, Tiger Lawyer is a Bengal Tiger that just so happens to be a high-profile criminal defense lawyer. Now that we all know what kind of beast we are dealing with I can get into the details. Why would I want us to write this character? Why the hell wouldn’t we want to write this character? The character alone is a truly fun central concept to run with, and reason enough for the pick, however, and this is where things get really interesting. Each issue of Tiger Lawyer is made up of two short stories. They cover a variety of styles and genres with each one bringing a different artist to the table. Furthermore Tiger Lawyer runs back up stories in the Image come Hell Yeah, each one a single page adventure with our favorite feline attorney. This combination of established single page story telling and the wide range of styles and genres makes it ideal creative material for us Thoughtballoons writers, and anyone who wants to enjoy us at home. So with no further objections lets get this court in order and go have a great time!